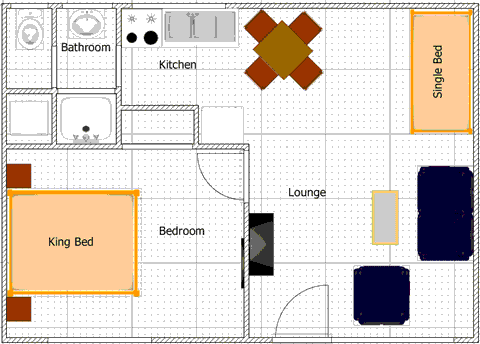 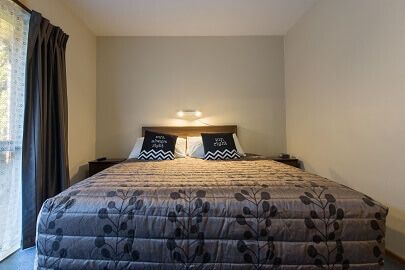 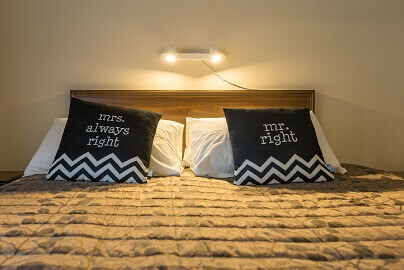 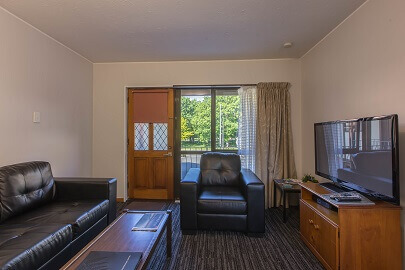 One bedroom suite with two beds, en-suite bathroom, full kitchen facilities, heat pump, Plasma TV with 50+ SKY channels. 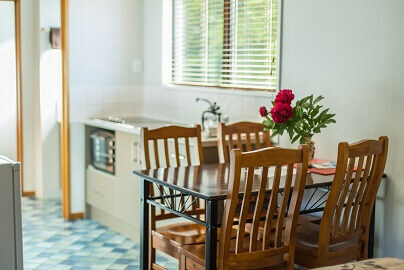 Provides accommodation for up to three people. 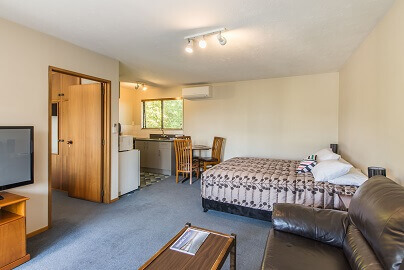 We have two rooms of this configuration in our motel.